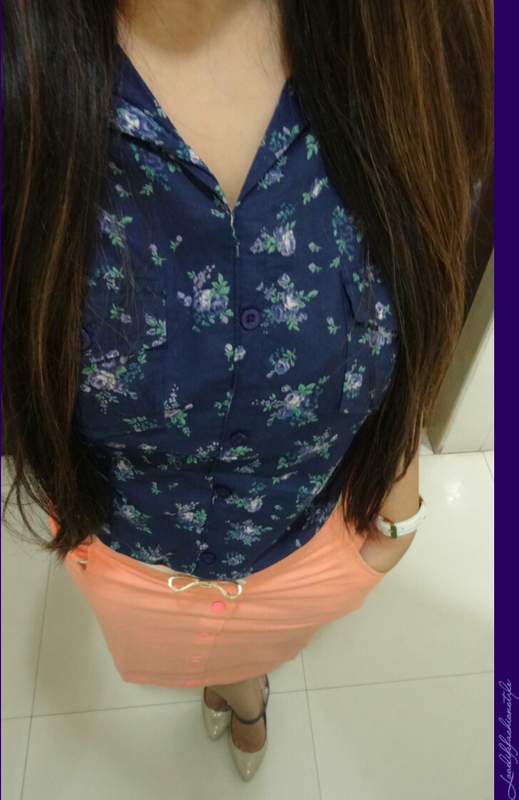 So, yeah, a peach bottom and a bright Floral Top with button-up sleeves is what I wore today. Pretty simple and relaxed. 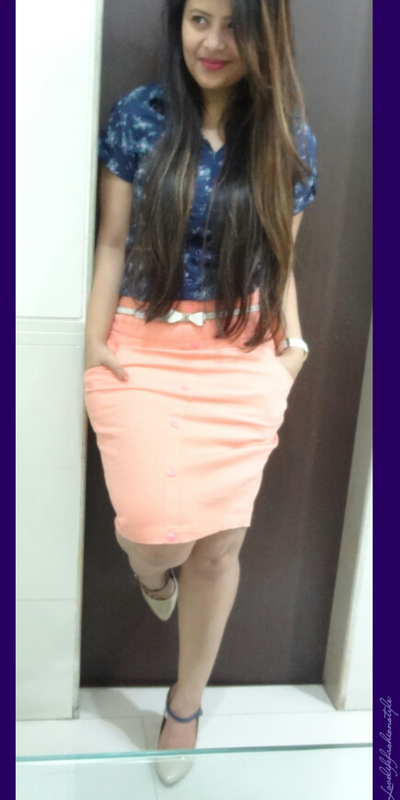 A white bow belt and a pair of color-blocked heels what made the whole outfit look effortlessly chic! 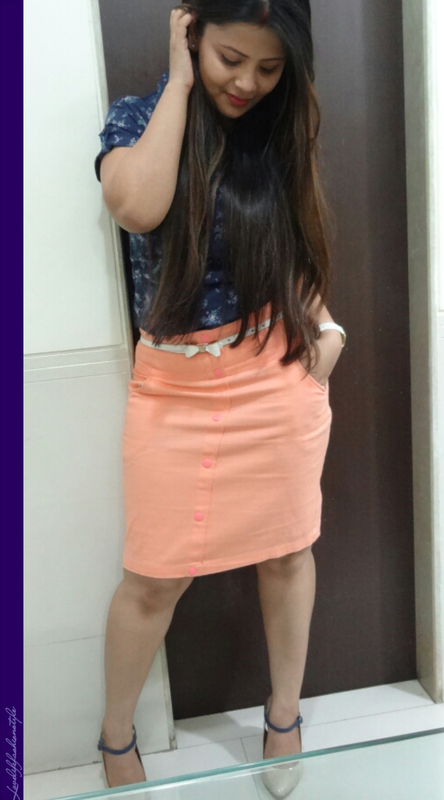 🙂 So, to conclude, The Right Accessories is all you need at times to wake your outfit up, what say? Hope you guys liked it and thank you so much for reading! Previous Post Let’s Monochrome iT :: Peter Pan Collar + Classic White Skirt! 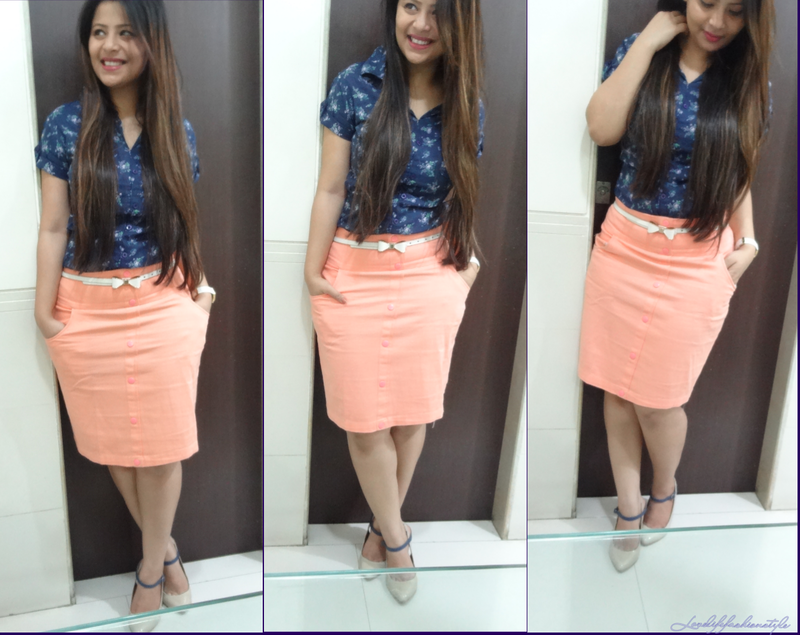 Next Post Peplum :: Alert! 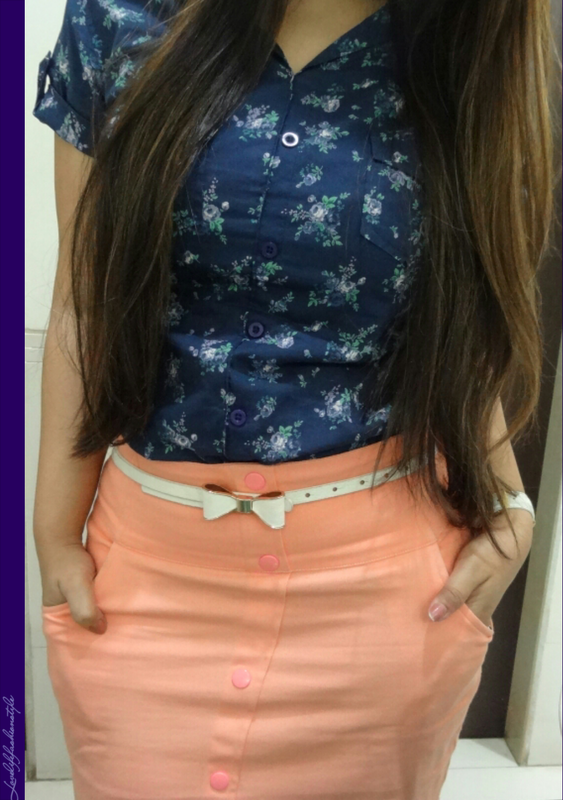 Loved all ur skirt looks..